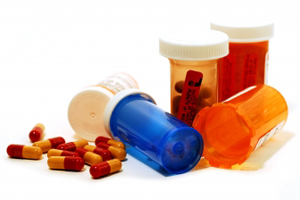 If you are taking regular medication you may be given a repeat prescription. There are a number of ways you may order the items you need. All methods will take up to 72 hours from receipt of your request. Post the tear off slip or simply drop it in to the surgery. If you provide a stamped/addressed envelope we will post it back to you. NOTE: repeat prescriptions are NOT available by telephoning the surgery unless you are elderly, housebound or terminally ill. Either order your prescription online or post the request slip in the internal post-box at the surgery. Prescription queries will only be dealt with after 11.30am. Prescription put into us before 11:15am will be ready for collection 72 hours from the day you put your repeat in. PLEASE DO NOT REQUEST A REPEAT PRESCRIPTION FOR CONTRACEPTION OR ANTIBIOTICS. YOU MUST MAKE AN APPOINTMENT TO SEE THE DOCTOR OR RING FOR A TELEPHONE TRIAGE WITH YOUR DOCTOR.